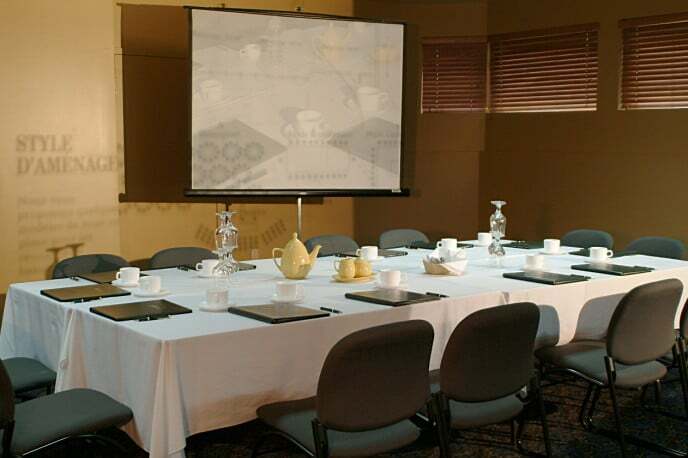 Which ever will be your good reason: meeting, teambuilding, banquet or a get together, our meeting and banquet rooms will suit your needs to the point. A room with a view! 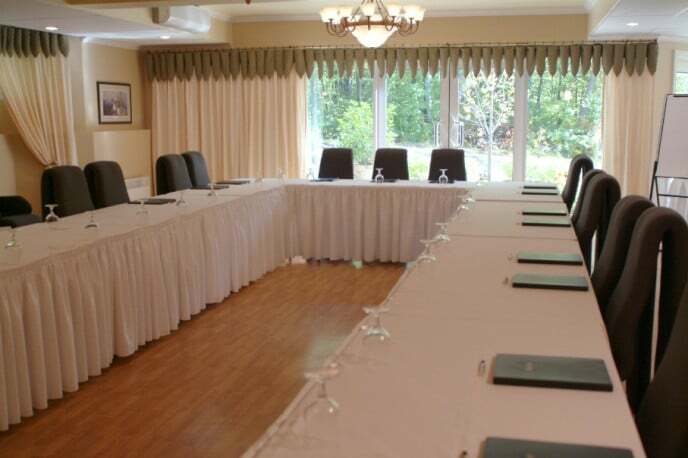 La Montagne Coupée offers air-conditioned meeting rooms for 10 to 150 people and will be prepared according to your specifications. They are well lit due the huge windows and a wide selection of AV equipments is available. Our dedicated team is professional, discreet and very responsive to support you in every aspect of the planning, and enjoying, of your event. Orchidée’s is our largest room welcoming up to 150 people theater style. The gigantic windows give a beautiful view on the woods surroundings. Free access to wi-fi. Ancolie’s highlight is it terrace. 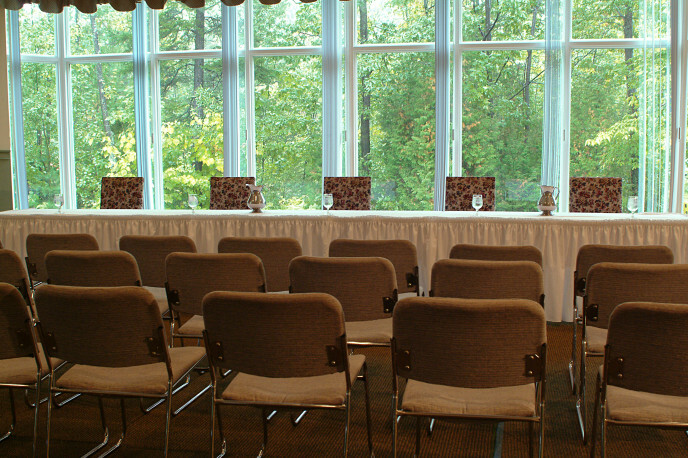 With full size windows and located ground floor, its direct access to the outdoors will inspire you and your guests. What about your healthy break served outside? 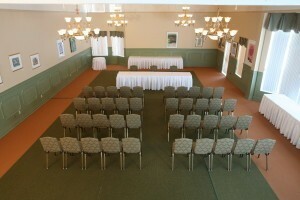 This room is located on the first floor and often used as a hospitality suite for administrative comitee. It is equipped with sofas a TV set. This suite is located on the first floor. A door is allowing access to the outdoor. 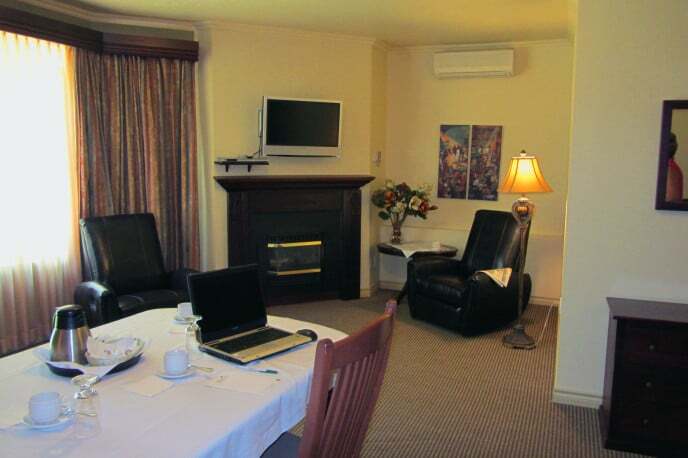 The suite is furnished with a foldaway queen size bed, a fire place, television, DVD and a bathroom equipped with a whirlpool bath.